After having battled to a 4-3 overtime victory in Philadelphia last night, who would have thought the Montreal Canadiens would have ended the 1st period against the San Jose Sharks with a 3-0 lead? Well, apparently, the sold out crowd in attendance did. The fans greeted the Habs with a standing ovation from the moment the first skate touched the freshly cleaned ice. The Habs would need all 3 goals as the Sharks bore down in the ensuing periods, using their relatively fresher legs and size advantage to wear down the Habs' defence as they targeted Jaroslav Halak with 48 shots before going down to the Habs 3-2. Want to know what Rage Fighting is all about? Want to hear why Thales Leites relishes the role of being an underdog against Anderson Silva? Want to hear more about Jason "Dooms" Day explaining how he has to take the soul from Kendall Grove in UFC 96? The Franchise sports talk radio will be bringing you interviews with UFC Fighters Thales Leites and Jason Day, review XMMA 7: Inferno with behind the scenes information you can't get anywhere else, and preview UFC 96! Hosted by Gary Whittaker and Nick Murdocco, we will also bring you the Habs weekly report, insider information on the Montreal Impact's recent CONCACAF victory, and update you on what's happening with les juniors de montreal! You can listen to us live on CJLO 1690 AM in Montreal, or anywhere you can get Internet at www.CJLO.com, between 8:30 and 10:30 am EST. 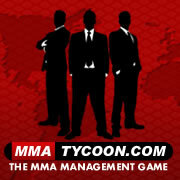 Also making his first appearance on the show will be special guest Shawn Armorer from MMA Authority magazine. No sooner had newly acquired Doug Janik poured himself a cup of Coffee when joining the Montreal Canadiens, when he was told to make it "to go". Janik, who is in Montreal via the Steve Begin trade, has cleared waivers and expected to join the Hamilton Bulldogs who are preparing to meet Lake Erie this Sunday. Please read on for the official Habs press release. This Sunday night, the World Extreme Cagefighting's most sought after title will be on the line as the recently crowned featherweight champion, Mike Thomas Brown, will be defending his title for the first time against the number one contender in the featherweight division, Leonard Garcia. Leonard Gracia is probably best known for his three round classic lightweight battle against Roger Huerta in '07 when Garcia was under the UFC banner, the bout resulted in a decision loss for Garcia but his performance didn't go unnoticed. After dropping down to the WEC featherweight division, Garcia won both of his bouts by weigh of knock out, including a first round win over Jens Pulver. Throughout his professional career, Leonard has been best known for his strong submission abilities (9 wins via submission) more so than his KO power (3 wins via knock out) but he may be influenced by his last two outings to stand and trade with Mike Brown knowing that he can always use his submission game as a back up strategy. Mike Thomas Brown is coming off a monstrous TKO win over the heavily favoured Urijah Faber in November to capture the WEC featherweight crown. Like Garcia, Brown is more known for ending fights with a submission opposed to a knock out, however he won't be shy to stand and trade with Garcia. Brown is currently riding a 8 fight win streak and he has finished 6 of the 8 bouts by KO or submission. MMA HANGOVER's Prediction for the WEC 39 main event: Although Garcia looked impressive against Jens in his last bout, it's obvious Pulver is over the hill. Expect a stand up fight for the first round and then look for Mike to take the fight to the ground where he will utilize ground and pound on Garcia which will set up an exciting submission finish to their championship bout. Mike Thomas Brown by third round submission. After a worse case scenario start for the Montreal Canadiens, seeing them in a 2 goal hole before the game was 9 minutes old, the new and improved Habs managed not only to erase the defecit, but pull ahead before the 1st period was over, setting the stage for an overtime victory garnering the Habs the much needed 2 points in the Eastern Conference standings. The battle of the backup goaltenders saw Halak start for Montreal after winning his last 2 consecutive starts, whereas Philly decided to maintain their policy of alternating starters, going with Antero Niittymaki despite the fact that Martin Biron earned a shutout in his last outing and has the superior record versus the Habs. Alex Kovalev had a goal and 2 assists including a helper on Mathieu Schneider's overtime game winner and Tomas Plekanec now has 6 goals in his last 5 games since his 2 game suspension as well as another full team effort and refusal to give up, which all came together for Montreal's 3rd win in a row. Please read on for the complete NHL game recap . The Montreal Juniors faced off against one of the Q’s powerhouses on Friday night at the Verdun Auditorium, falling by a score of 7-3. The Montreal Impact announced Friday it had signed midfielders Kevin Sakuda and Pierre-Rudolph Mayard. Both players have signed two-year contracts, pending the league's approval. Sakuda, a 28-year-old American, played the six last seasons with the Seattle Sounders in the United Soccer Leagues. He took part in only 28 games during the last four seasons in Seattle. Mayard, 21,who finds his way back to his home town of Montreal, played last season with the Impact reserve team, the Trois-Rivières Attak. He was the team’s leading scorer with eight goals in 16 games. He previously played with Panellinios, in the Quebec Elite Soccer League. For more info, please read the official Impact press release . It was a spectacular night at the CEPSUM in Montreal. Once people managed their way through traffic to find parking, they witnessed one of the best cards EVER for MMA in Quebec. Jammed packed with legends, and legends in the making, INFERNO thrilled the thousands in attendance, and no doubt the many more who had purchased the PPV. I also would challenge if there was ever a MMA card that had as many bouts finish by way of arm bar, than XMMA 7. Overall, Quebec fighters fared very well in this affair. It should also be noted that de Lorenzi is reported to have suffered a knee injury during the fight, which lead to the first loss of his career. The Franchise hopes that the knee injury is not serious, and that Guillaume will stomp back stronger than ever.